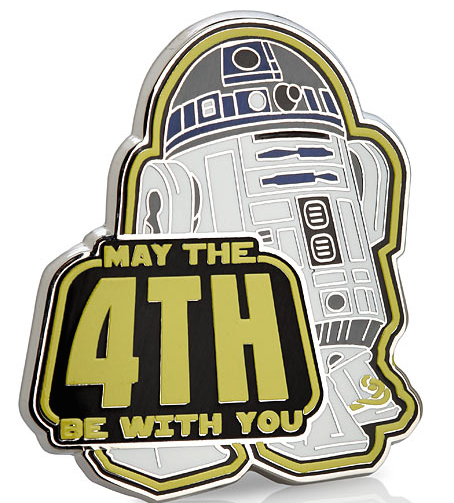 What is May the 4th be with you? It is the saying used by Star Wars fans to commemorate Star Wars day, May 4th. The idea for the day originated as a play on the cult Star Wars phrase, “may the force be with you,” which is said by multiple characters throughout the epic saga. Star Wars Day is even bigger this year thanks to the impending release of the Disney-produced Episode VII and as a result deals are kicking off sooner than ever! We’re here to help you celebrate May the Fourth by rounding up the absolute best Star Wars sales from across the deal galaxy. We will be making a special post on May The Fourth to cover all the last minute deals and exclusive merchandise. Amazon is planning an all-day Gold Box event (click the upper May the Fourth banner to see only Star Wars lightning deals) so you know there are going to be some great deals to be had through Monday. Head below to scope out today’s extensive list of deals on Star Wars apps/games, apparel, collectibles, lego, and more. Exclusive merchandise at Disney stores. Star Wars Pinball 3 for iOS is FREE and includes 50% off select additional pinball tables and free download for the “Star Wars: Episode V The Empire Strikes Back” table. You’ll also find a number of other Star Wars apps on sale in the App Store right now including LEGO titles and the aforementioned Knights of the Old Republic.